Click on the Civic Web Council Portal button below for details about upcoming meeting dates and agendas. Pay your utility bill online through Point & Pay. A convenience fee of 2.5% (minimum $2.00) applies for credit card payments and $1.50 for e-checks. Pay by phone by calling 1-866-706-6609. The Lake Chelan Valley features extraordinary year-around recreational opportunities in a world class outdoor environment. The Chelan Valley features an unparalleled combination of breathtaking scenery, vineyards, wineries, orchards, golf, hiking trails, boating and fishing. The City is in excellent financial position based on a strong and growing economy stimulated by tourism, agriculture, development and very positive retail/commercial activity. The Lake Chelan Golf Course has long been the favorite course of golfers of all skill levels. The setting and the views from the course are unmatched anywhere in the Northwest. We offer 165 full hook up sites for RV's (water, electric, sewer & cable), which will accommodate up to a 40' RV including 22 sites with 16 x16 tent pads for those campers who enjoy sleeping out under the stars. Provides safe, clean water service to the City of Chelan. The Lake Chelan Airport (FAA LID: S10), is a general aviation public use airport located three nautical miles (6 km) northeast of Chelan. 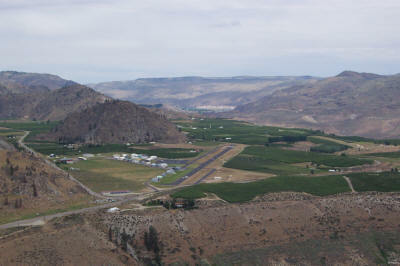 The airport is owned by the City of Chelan and the Port of Chelan.